Every year in the remote wilderness of Colombia, an ordinary river erupts into a spectacular rainbow-coloured waterway. Located 170km south of Bogotá, three diverse ecosystems – the rocky Andes mountains, the sweeping Llanos plains and the lush Amazonian jungle – converge in the remote wilderness of central Colombia’s Sierra de La Macarena National Park. It’s an area of striking biodiversity and beauty, and if you follow the winding Guayabero River up a fork deep in the park’s southern fringes, you’ll find one of the world’s most spectacular natural wonders: Caño Cristales, a 100km-long series of crystal-clear waterfalls, rivers and streams that explode in a rainbow of colours for several months each year. 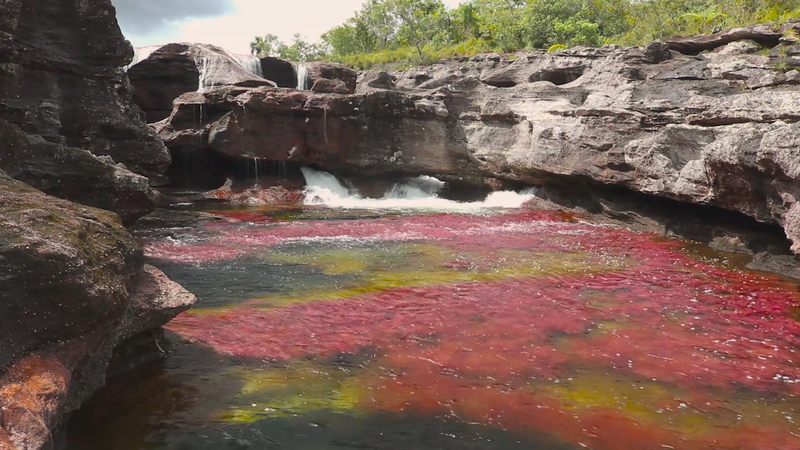 Caño Cristales is often called “the river of five colours” or the “liquid rainbow”, and according to local legend, it escaped paradise to flow through the Earth. While the river’s kaleidoscopic colours may seem like the work of supernatural forces or Colombian magic realism, it’s actually the result of a unique biological phenomenon that generally takes place from June to November. According to Javier Francisco Parra, local coordinator of Colombia’s Cormacarena environmental authority in the La Macarena area, a rare, endemic plant called macarenia clavigera lines Caño Cristales’ rocky riverbed. Park guides explain that for much of the year, this moss-like growth appears in a muted dark-green hue. But when the rainy season returns and the water level rises and just the right amount of sunlight reaches the river’s floor, the plant erupts in a vibrant spectrum of purples, fuchsias, pinks, yellows and greens that blanket the riverbed. 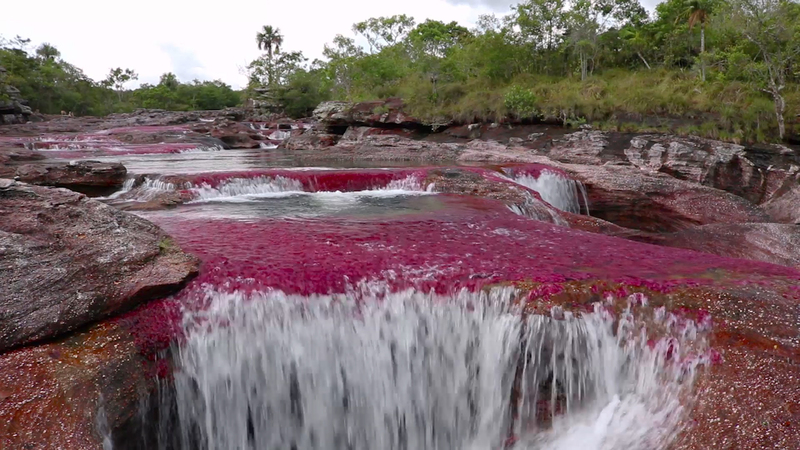 This ecosystem is unique in the world… the plant gives that scenic beauty [and] colour to Caño Cristales,” Parra said. One of the wonders of this fragile and finicky ecosystem is that with each new season the river appears different than it did the year before. Like autumn leaves on a tree, the macarenia clavigera’s growth and colour is determined by the year’s rainfall, temperature and sunlight. So, while one year a stretch of the river may be carpeted in crimson, the next it could appear bright green or yellow. While the macarenia clavigera plant may give the river its melted rainbow tones, the stones on which it grows is what likely makes the aquatic plant’s life possible. Caño Cristales travels atop the Guiana Shield, a 1.7-billion-year-old rock formation that stretches across much of north-eastern South America and is among the oldest geological formations on the planet. According to park guide Walther Ramos, geologists have come from around the world to study the mysteries of the park. Ramos says the Guiana Shield may have been formed by sediment from a series of ancient rivers, and today it’s wildly rich in phosphorous, iron, quartz and other minerals. This mineral-rich bedrock dips below the Earth’s surface and re-emerges here in central Colombia to create the perfect (and only) place on Earth for the macarenia clavigera to live. Remarkably, Caño Cristales’ stunning spectrum of colours remained unknown by most Colombians, until quite recently. For much of the 20th Century, the government’s ongoing war with drug traffickers and the guerrilla army Farc made this isolated stretch of wilderness an incredibly dangerous place to visit – so dangerous, in fact, that from 1989 to 2009, the area was closed to the public. But in 1989, a daring Colombian journalist named Andrés Hurtado García hiked for several hours through the guerrilla-controlled jungle with a camera. After allegedly hiding from rebel forces in a peasant’s house, he reached the colourful waterway, snapped a photograph of it and introduced the natural wonder to Colombia in the country’s El Tiempo newspaper – calling it “the most beautiful river in the world”. After the Colombian military established a presence in the area in the mid-2000s, a trickle of brave tourists began arriving. But it wasn’t until the government’s landmark peace deal with rebels in 2016 that this trickle became a steady stream. Because of Caño Cristales’ remote location, getting here means journeying deep into the Colombian wilderness. Most visitors start from Villavicencio, a 430,000-person city at the crossroads of the Andes mountains and Llanos plains that’s known for its rugged cowboy culture. Despite only being 210km away from Caño Cristales as the crow flies, it’s a bumpy 26-hour drive through waterlogged roads, so most travellers hop aboard a single-engine propeller plane and fly an hour over an endless sea of green on daily flights. 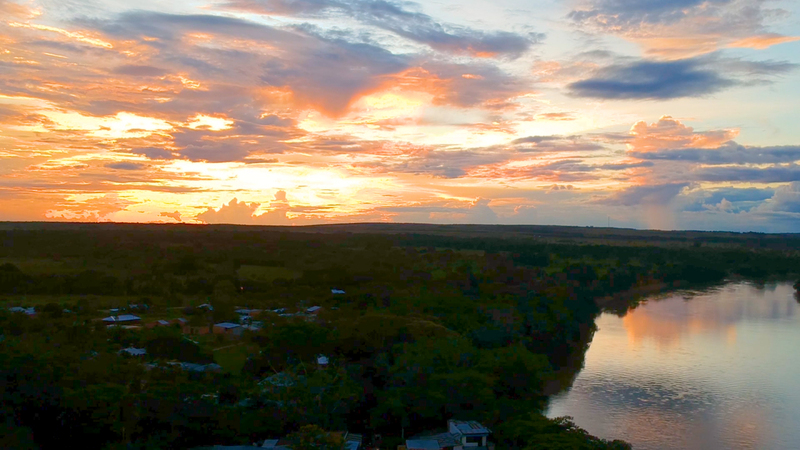 Planes land in small ranching community of La Macarena on the banks of the muddy Guayabero River. From there, narrow motorboats ferry passengers a few kilometres upriver, past monkeys perched in the trees and caimans sunning on the banks, to the cusp of the national park, where a fleet of rugged transport trucks awaits. For decades, La Macarena remained an isolated outcrop surrounded and controlled by Farc forces. But as Colombia’s civil war waged to a halt, the community has become increasingly connected to the outside world. And because Caño Cristales is only open during the day, each night most visitors retire to La Macarena. According to Moreno, in 2008 roughly 780 tourists – and only 16 foreigners – came to La Macarena. But Moreno said that in 2016, the ranching community welcomed 16,500 visitors and 4,200 foreigners from 75 countries. While people used to only arrive by land or in a three-seater plane, now larger planes carrying up to 50 passengers fly directly from Bogotá several times a week. To help preserve the macarenia clavigera plant, park authorities now prohibit visitors from bringing in any chemical products that could contaminate the water, including sunscreen, insect spray, deodorant, skin cream and makeup. 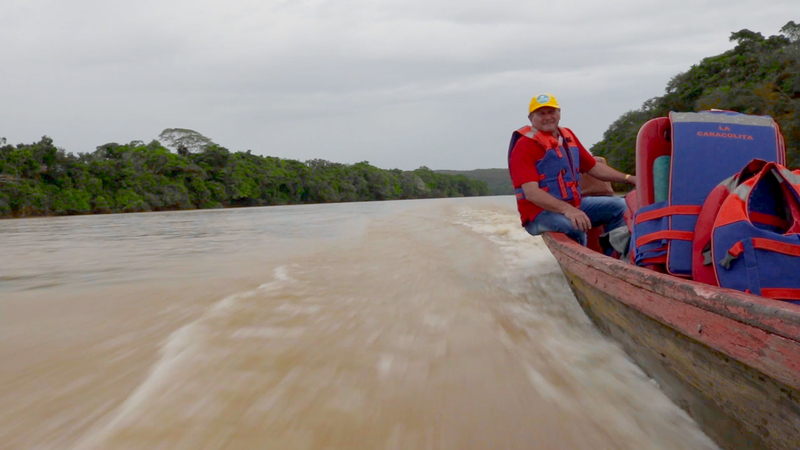 If you ask Moreno, these efforts are doing as much for the region’s perception as they are for the plant’s protection. World of Wonder is a BBC Travel series exploring some of the most awe-inspiring natural phenomena and manmade marvels around the globe.